Vulkan is the next big step in graphics programming and GPU computing and first implementations will be released soon have been released by GPU makers like NVIDIA or AMD. 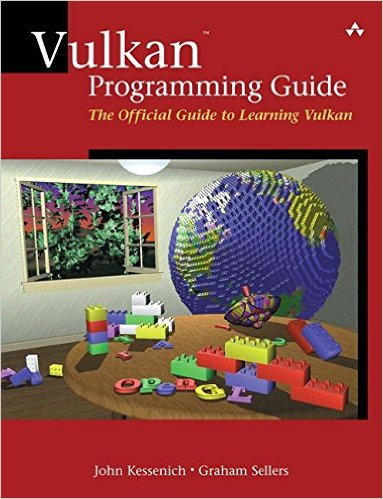 Here is a list of recent articles and tutorials about Vulkan. This page will be updated as soon as new resources are available. Shoud I switch to Vulkan? Seeing some really impressive improvements on early Vulkan drivers with native code, will win big when Unity and Unreal get support. To be perfectly clear, #AMD is planning to support #Vulkan on ALL GCN parts and to use the same #user mode driver on Windows + #Linux. Vulkan will require significant changes in most applications. "Incremental porting" is a really bad idea. Time for a clean slate. I really hope that book cover is a joke. Did someone successfully compile Cinder’s “Vulkan Fish Tornado” as seen at https://forum.libcinder.org/#Topic/23286000002614007 ? Visual Studio complained so much that i gave up at some point.